Here’s the pricing for Sage FAS 50 and Sage FAS 100 as of February 4, 2009. These are list prices and you should add both the product list price and the maintenance list price to determine a total price. We recommend Sage FAS 100 single user NETWORK with Report Writer as the basic package to begin with first. If you select the single user FAS 100 be advised that this only works standalone and loading the data onto a network (even if used by only one person) is not supported. Sage FAS 50 has an asset limit of 1,000, does not support report writing and can only be run standalone. 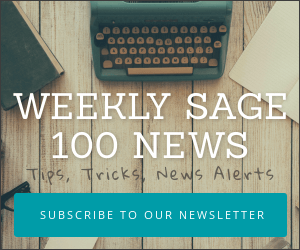 I agree with "We recommend Sage FAS 100 single user NETWORK with Report Writer as the basic package to begin with first." Better to start as oposed to a sybase fas 50. Fixed asset software should be used in conjunction with industry best practices. The initial inventory should include predetermining which types of assets are within the capitalization threshold. Utilizing barcode technology will reduce the time it takes to complete this initial inventory as well as reduce the time for future follow up inventories.